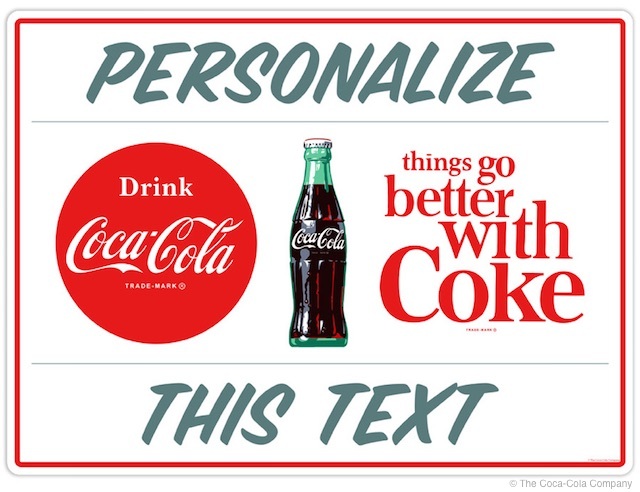 We’re excited to introduce our newest customized product: Coca-Cola personalized stickers. 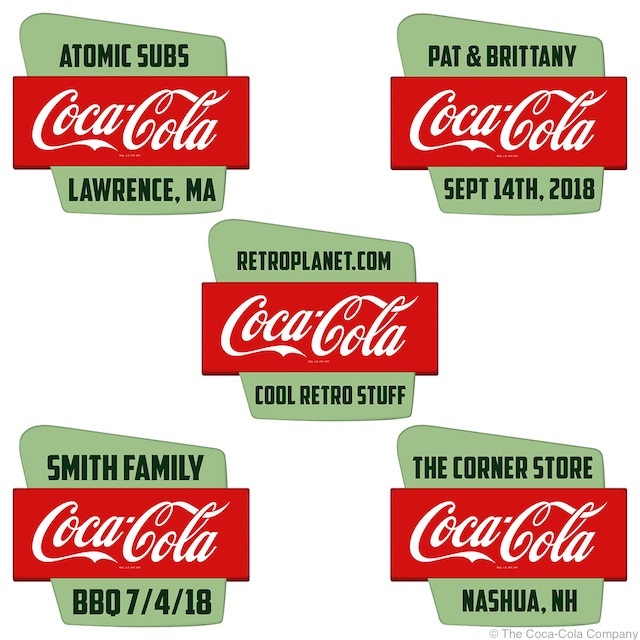 These stickers combine any wording you like with crisp, high-resolution images of vintage-style Coca-Cola icons and logos. The Coca-Cola Things Go Better With Coke sticker can be personalized with 2 lines of text, up to 18 characters in each line. 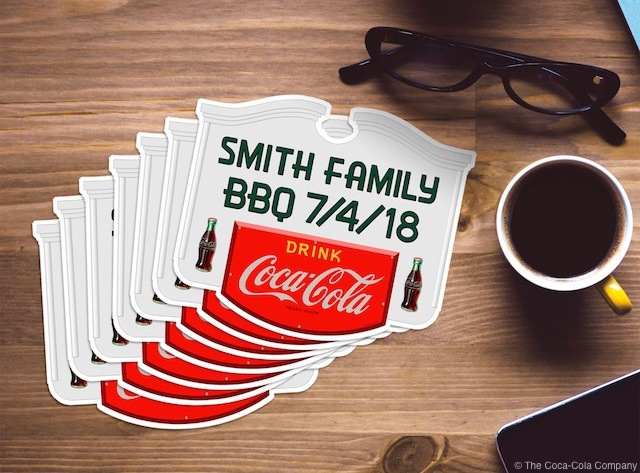 Sticker measures 5 x 3 inches and can be used for announcements, family reunions and business promotions. Made of quality glossy vinyl in the USA, they make memorable party favors or business promotional items. We think they’re the perfect size to get your message across—about 5″ x 4″, not too big, not too small. 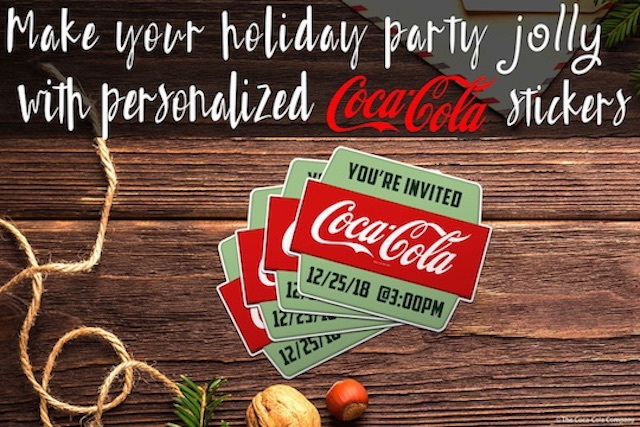 And they’re truly unique even before you personalize them because we designed these exclusive stickers in conjunction with The Coca-Cola Company. Minimum order is only 10 stickers and they can be used for so many different occasions! Ordering is easy! Choose a design, add your custom wording, and we’ll send a proof for you to approve. 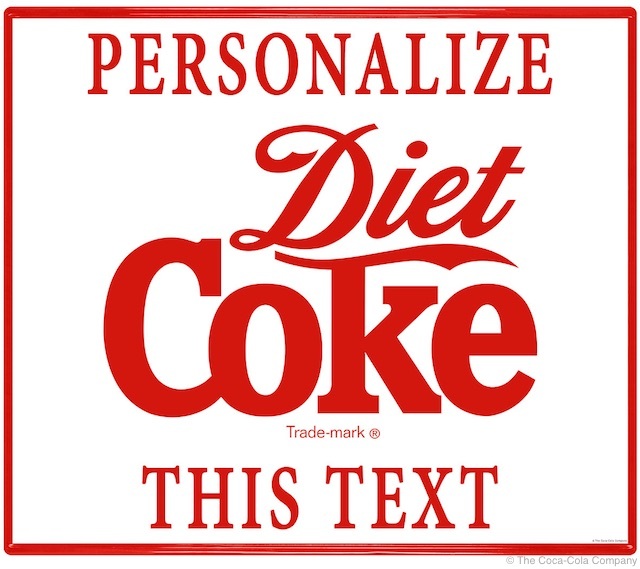 Then we’ll print and deliver your personalized Coca-Cola stickers fast. 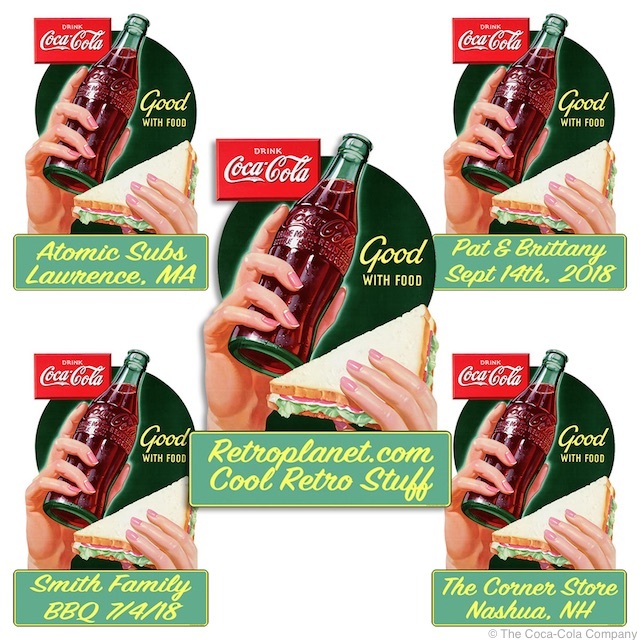 Our vintage-style Coca-Cola stickers are made in the USA and can be printed on either gloss or matte vinyl. 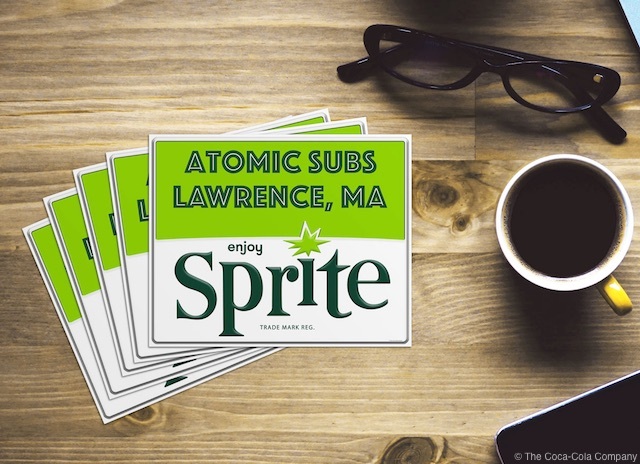 The Coca-Cola Company released Sprite in 1961. 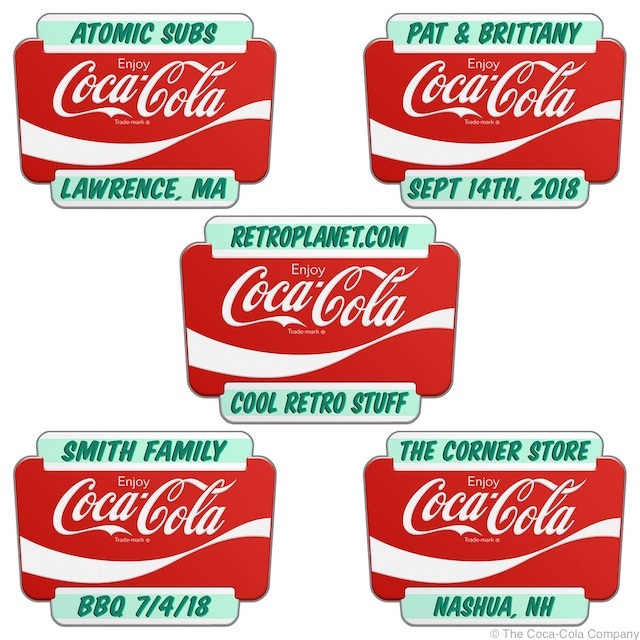 Retro Planet has been licensed to create personalized stickers with vintage style Sprite advertising artwork. Personalized stickers make fun party invitations and can be applied to all sorts of surfaces. Commemorate a wedding, a birth or a family reunion. 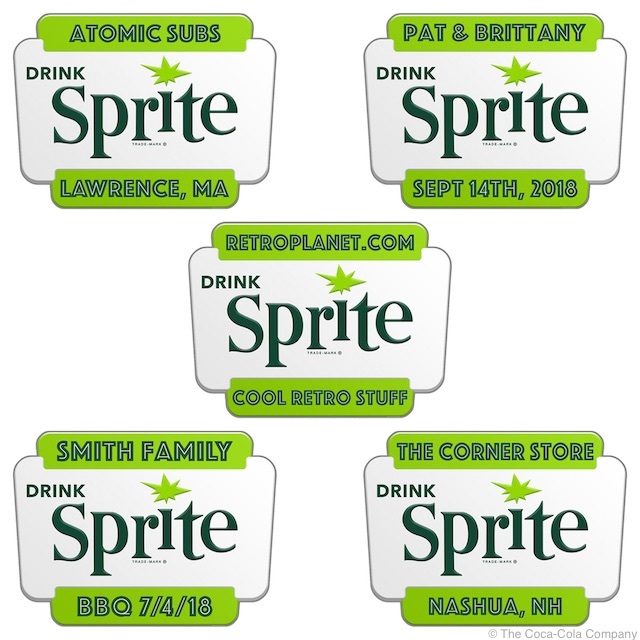 Our first batch of personalized stickers includes Coke, Diet Coke, and Sprite designs. See them all here. We hope you like our new stickers and would love to hear from you in the comments below.